Timothy from Lystra was known as Paul the Apostle's 'son' and apprentice who was to learn the things of the faith from him. Timothy was later to be sent to Ephesus serving as Paul's representative. The Ephesians had lost their focus on the message of the gospel. They were materialistic and their lives were marked by ungodly living. Timothy's task was to call them back to the cross and what Jesus Christ had done for them, setting their sights on what they would receive when Christ returned for them. Until then they were to live lives of godliness and holiness. 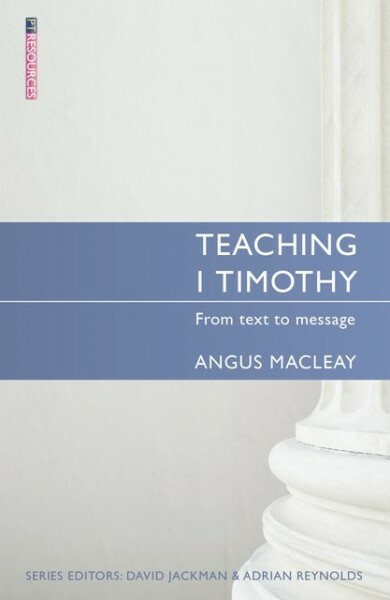 This book will help you to teach 1 Timothy, showing how we can navigate a godly life even in today's culture.